Goldman Sachs and BlackRock are the latest investment firms to bulk up their wares in the $80 trln market for fee-based advisers. These are fast displacing commissions-based brokers in managing Americans’ wealth. And the business offers spoils across the money-managing spectrum. 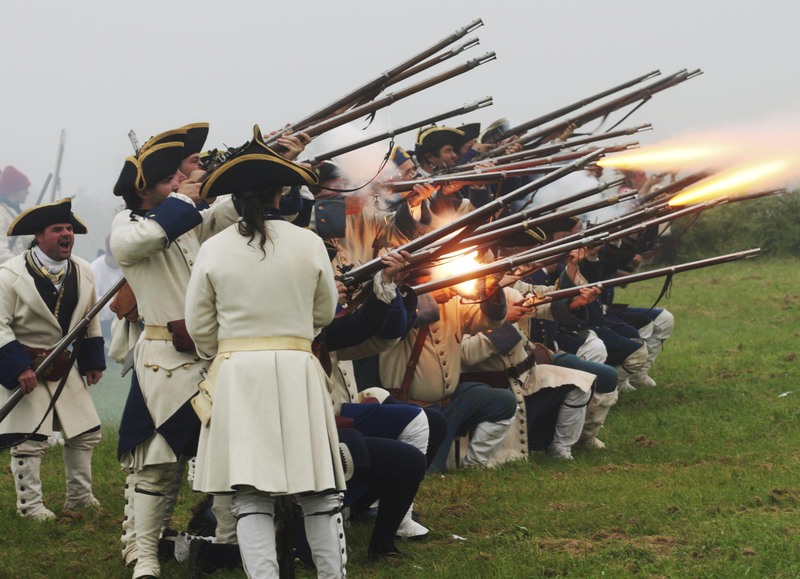 A line of 18th century French military animators fire their muskets during a re-enactment of a night attack at Fortress of Louisbourg on Cape Breton island, Nova Scotia, May 26, 2008. Goldman Sachs Asset Management said on March 18 that it had agreed to buy Standard & Poor's Investment Advisory Services for an undisclosed amount. The unit, a part of S&P Global, provides non-discretionary investment advice to registered investment advisers and other intermediaries. It advised on more than $33 billion in assets at the end of 2018.